Over the years I’ve written all sorts of scary books, and since it’s nearly Halloween thought I might tell you about some of them. This one started out as a Tempe Crabtree mystery, but as Tempe’s character developed in a wholly different way, I had to change the main character. 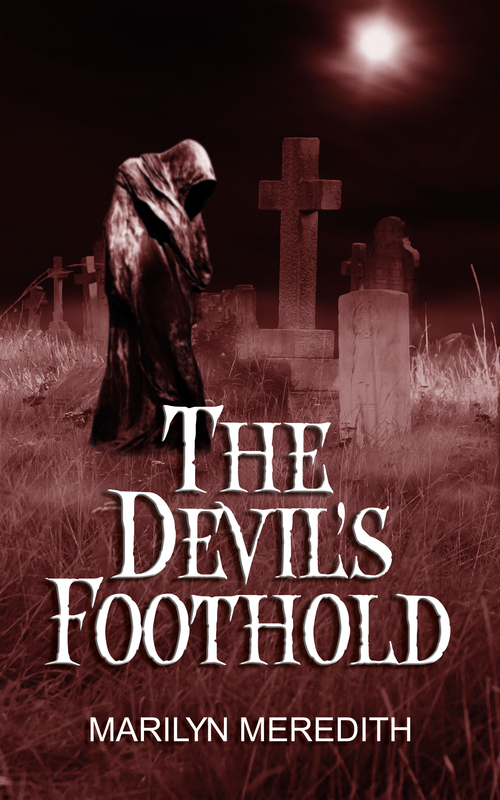 Speaking of Tempe, here’s another I thought would be one of her mysteries, The Devil’s Foothold. I loved writing it, but it turned out to be more of a Christian horror. And yes, there’s one more that started out to be a Deputy Tempe Crabtree mystery, Deeds of Darkness. And probably the scariest of all, Wishing Makes it So, which probably falls into the psychological horror genre–the tale of a really bad little girl. Of course any mystery worth reading has scary elements in it–but these are the kind of books some folks love to read during this spooky season. 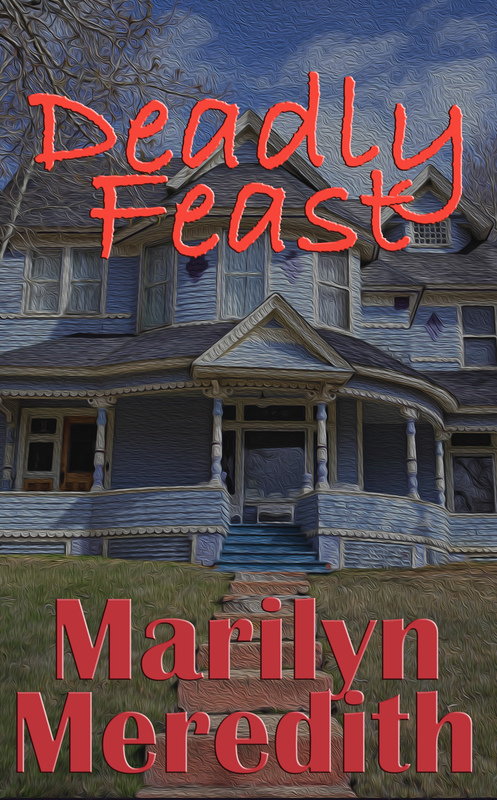 And a haunted house is features in the latest Rocky Bluff P.D. series, Violent Departures. Have a most spooky Halloween! 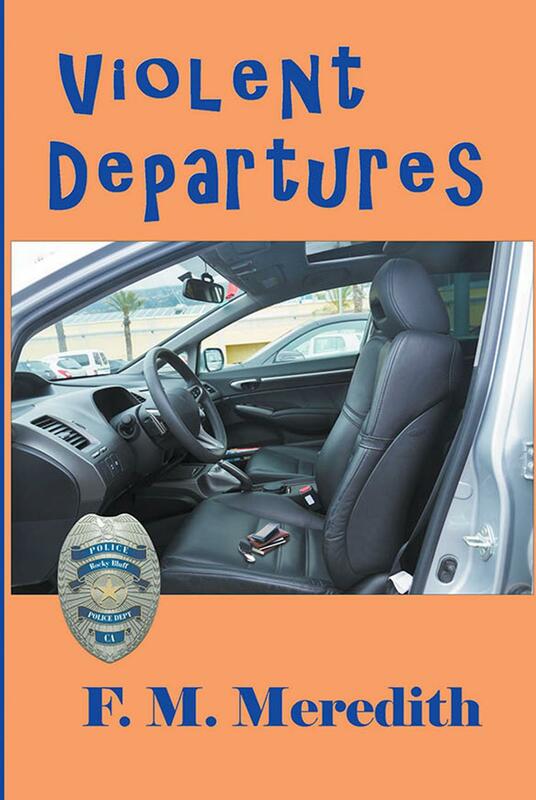 This entry was posted in Marilyn Meredith. Bookmark the permalink. Marilyn; some of these sound wonderful. I am ready to embark on a new writing endeavor—events surrounding the premise are definitely scary, but….it’s all true, and I am concerned about how to present it. I used some real happenings in many of my books, just fictionalize it. I will try—heck, I have to be careful; incriminating evidence against several people. That one about the bad little girl looks really scary!! 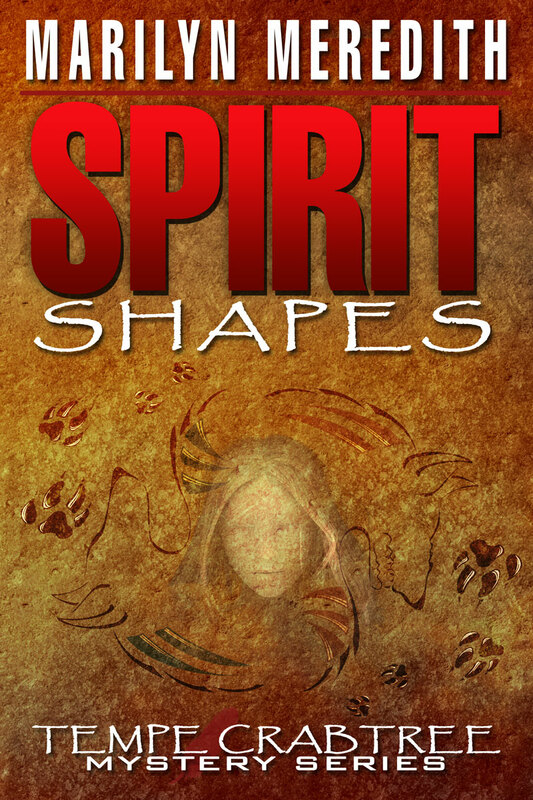 Spirit Shapes is one of my favorite books, I had a great time writing it. Love haunted houses. Marilyn; I live in NJ ( south Jersey) ; we have bonafide, historically stamped, haunted houses: we are the home of the Jersey Devil, and in the past, my home was haunted. It’s very accepted around here. Lot of folks really liked Wishing Makes it So–the girl’s hair color is wrong on the cover, but I had no say over that. I got lots of the ideas for that book from various grandkids. That is a book in and of itself ( grandchildren and their ideas). I asked my grandkid what mean things other kids had done to them. I adore kids and have accepted there are no grandchildren in the future—my grown children confirmed that, but children do come out with so many amazing ideas and thoughts ( unfettered). I have lots of grands and greatgrands, and have a great time with them all.